Glasgow Wood Floor Sanding, Stripping, Staining and Lacquering. Quality Hardwood Floor Fitting including Herringbone and Parquet. Pinestrip Flooring in Glasgow has over 20 years experience in wooden flooring restoration, floor fitting and stair renovation. 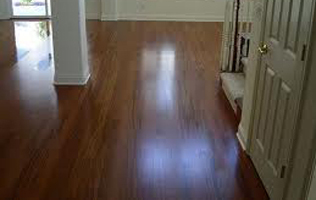 We can offer a range of services including floor sanding, floorboard fitting, gap filling, staining, painting, lacquering, french polishing, stair renovation and new hardwood flooring installation. Our fitters are experts in herringbone and parquet installation as well as repair, restoration and refurbishment of both herringbone and parquet. We can also offer a unique individual floorboard repair service.Our aim is to give you fantastic looking hardwood floors whatever your requirements. Pinestrip is Glasgow based, but we take on small and large domestic projects as well as commercial projects all over Scotland. We have completed restoration, renovation and repair projects in Edinburgh's historic New Town, fitted new timber floors in Glasgow's Merchant City, and sanded, stained, lacquered, and oiled wooden floors and stairways in private residences throughout Glasgow and Central Scotland. Pinestrip Flooring Glasgow grew from an antique background, so colour selection and period aesthetics are our craft speciality. Feel free to propose something unusual or modernist and we'll come up with a value for money quote and a bespoke solution. Sanding floors is a dusty tiring business. PineStrip has changed that. The first process is a patented dust intake system. This attaches right to the Lagler sander, sucking up dust before it has a chance to escape into the air. The second is our unique sanding abrasive. Unlike traditional abrasives, the dust that's generated when sanding is finer and therefore much easier to manage. With PineStrip Flooring Glasgow our specialist equipment means dust doesn't have a chance. No hours of cleaning up after sanding. Our Lagler sanders capture the dust generated by sanding on the spot, meaning your curtains, and furniture won't need to be covered before sanding or cleaned after sanding. With traditional sanders microscopic particles of dust generated can remain in the room for days after you've had your floors sanded. Apart from the mess, these particles can cause irritation and allergic reactions in some people, especially those with respiratory problems or asthma. Why take chances when you now have the option of PineStrip dust free sanding? Pinestrip can supply extensive customer testimonials and, if requested, can arrange viewings of previous commercial contracts. Also see our Gallery for a selection of completed hardwood flooring, wood panelling and interior / exterior door repairs and refurbishment. Please contact us on: 07885213585 or e-mail: kenny@pinestrip.co.uk for expert advice or request a quote online by clicking on here or contact on the menu-bar above. Pinestrip Flooring are experts in the fitting of parquet floors, reclaimed floors, removing varnish, and paint, as well as finishing with lacquer or oil. We also undertake french polishing of furniture, skirting and doors. 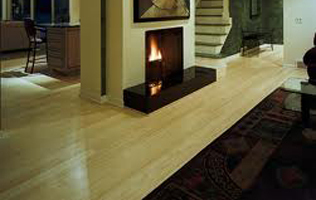 Pinestrip can also advise customers on the many types of flooring available such as oak, pine, ash, walnut, beech, african hardwood, brazilian hardwood, canadian hardwood, maple, cherry, walnut, birch and elm. 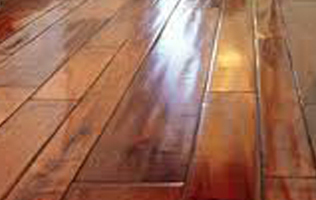 We also specialise in the fitting and renovation of reclaimed wood flooring. In these days of recycling we can make reclaimed wood flooring look like a new installation.